We are pleased to announce we have a new addition to the Krieghoff products range, in the form of the Premium Canvas Gun Slip. The Premium Gun Slip is the perfect way to store and carry your gun. 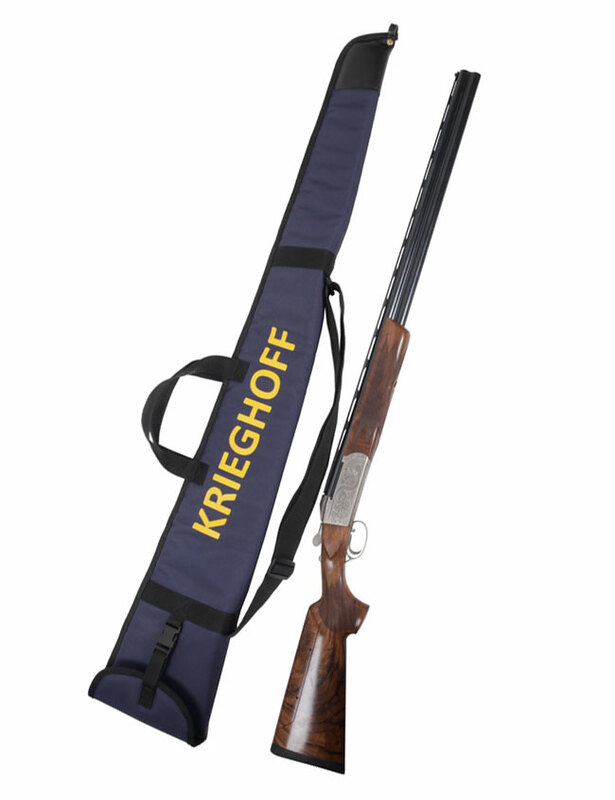 It is made from a high quality, strong and durable canvas in the Krieghoff colours: Navy body with the full Krieghoff logo emblazoned across the front in yellow. A nylon snap buckle secures the gun perfectly inside the padded gun slip, which is a better and more secure solution than a Velcro top fastening. The wide, reinforced webbing enhances its durability. The gun slip has dual carry handles an adjustable shoulder sling. The inside is lined with soft, black foam padding and the covered end protector with leather loop to provide your gun with added protection and is a nice finishing touch which allows you to store it away conveniently. For more information and to purchase the gun slip, visit the Alan Rhone Store website.